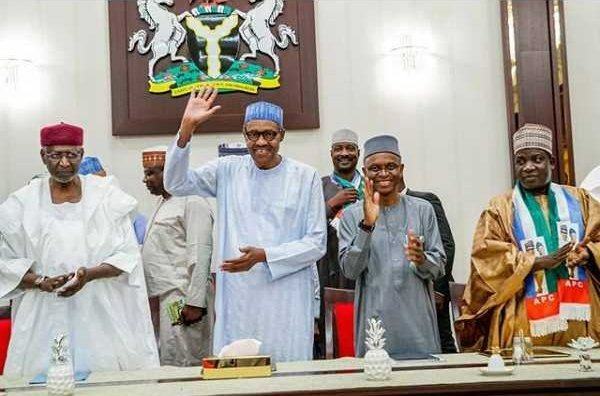 President Buhari presided over a Meeting of the National Council of State at the State House, Aso Villa earlier today. 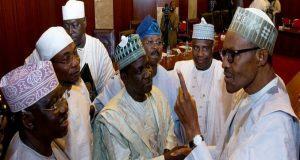 Present at the meeting were Governor Fayose and Ex-President Olusegun Obasanjo. 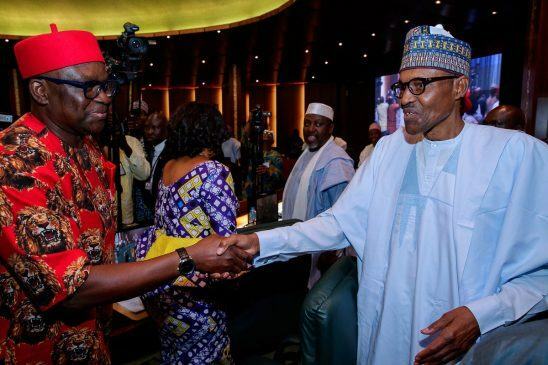 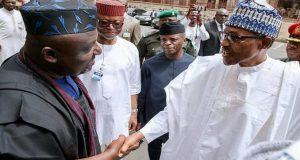 The president was pictured exchanging a handshake with Governor Fayose as Governor Rochas Okorocha starred at them. 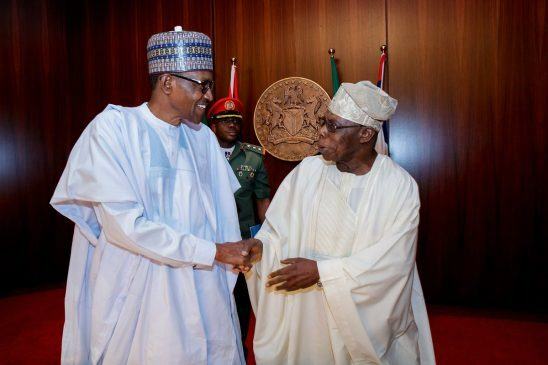 The President was also all smiles as he exchanged handshake with Ex-President Obasanjo.